The Reptile Room is the second book in “A Series of Unfortunate Events”, in which the Baudelaire children are once again a very unlucky bunch. 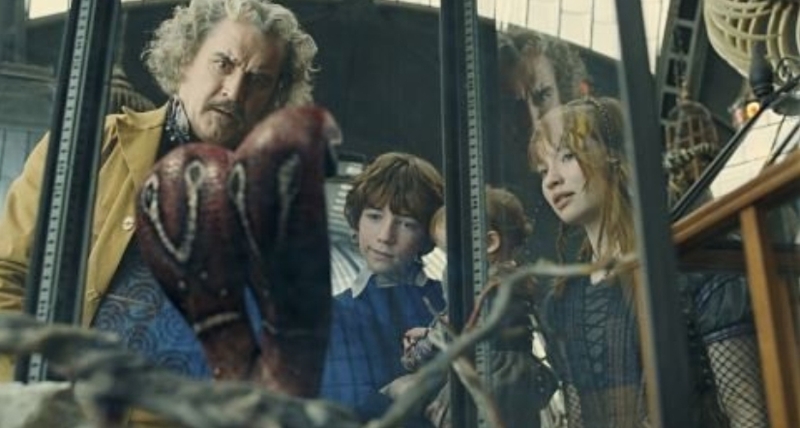 I felt sorry for the children at certain moments, and kind of scared of that creepy Count Olaf. I mean, Dr Montgomery seemed like such a nice guy… and then BOOM! That happens! It wasn’t really a surprise, after all this IS a series of unfortunate events, but still… He didn’t deserve what Count Olaf did to him. Poor Montgomery Montgomery. Lemony Snicket is as brilliant and creepy as ever in this second book in the series. To self-host or not to self-host – That is the question!